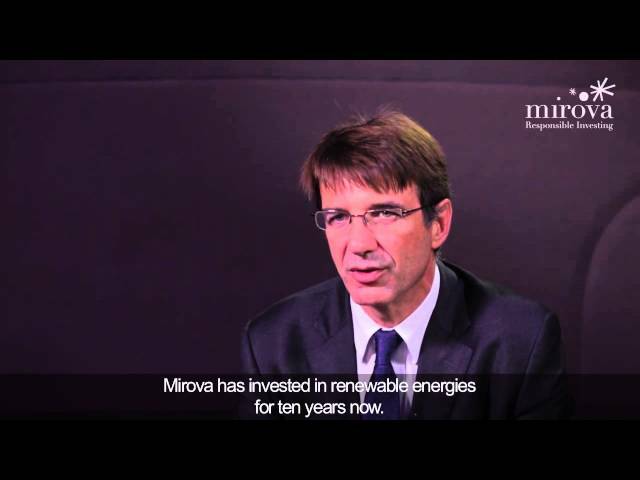 This appointment once again underlines the driving role and deep expertise of Mirova’s teams in matters of sustainable finance. In 2017, our CEO Philippe Zaouati served on the High-level Expert Group on Sustainable Finance, created by the European Commission as part of its preliminary reflections. Now it is Manuel Coeslier, Equity Portfolio Manager, head of carbon strategies and specialist in carbon footprint issues who has been selected to join the Technical Expert Group on Sustainable Finance. The Technical Expert Group, made up of 35 members selected from 185 candidates, was set up by the European Commission to work on the concrete implementation of the Commission's action plan on sustainable finance. Its work is scheduled to be completed by 30 June 2019. Since arriving at Mirova, Manuel has contributed to developing the methodology for calculating carbon footprints. He is currently managing the Carbon Neutral strategy, which seeks to combine performance with minimum carbon impacts, in line with international targets for limiting global warming. Manuel will therefore bring to the Technical Expert Group on Sustainable Finance an expertise that is rare in the market and his theoretical and practical experience in carbon issues.